"One Central Place for Tech News"
Women in Tech "The Real Story"
Cloud storage giant Dropbox has announced plans that it will be shutting down two apps in its portfolio. The first is the popular email app Mailbox and the other is the photo organizer app called Carousel. Both apps will be shut down early next year—Mailbox on 26 February and Carousel on 31 March. Mailbox users will have to switch to another email app on their smartphones. Those who had uploaded photos to Carousel will find these transferred to their primary Dropbox storage. Both of these apps were consumer oriented, and marquee products for Dropbox as it had visions of being a service that offered much more than just cloud storage. This is perhaps an admission that Dropbox’s forays beyond cloud storage haven’t really been successful. 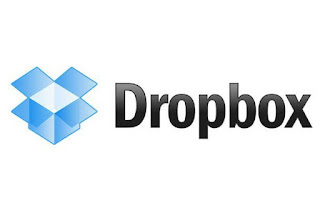 Dropbox had bought the Mailbox app for $100 million in March 2013 from developer Orchestra, an app that was extremely popular with smartphone users back then because it offered slick features that most other email apps at the time did not have—swipe to archive and snooze being some examples. And it will not be outlandish to claim that Mailbox actually was the inspiration behind the development of Google’s Inbox app and also the revamp of the Outlook app by Microsoft. Carousel was launched in 2014 as a completely consumer centric product that offered a visual timeline of photos and the option to view photos in galleries. At present, Dropbox is struggling to justify its value to investors. The cloud storage giant has raised about $1.1 billion in funding till now, and its value is estimated at $10 billion. Its closest competitor is Box, which went public earlier this year and is valued at $1.7 billion. All along, Box has focused on enterprise users, by offering better collaboration features. Dropbox will have to convince investors that it is actually in a shape to leapfrog Box, in the battle for the enterprise user base, a space where Microsoft, Google and Apple are also present. Dropbox will now focus on a service known as Paper, which is a document editing and collaboration suite, that could be its ticket to competing with Box. Dropbox currently has 400 million users, but it hopes that by switching to the enterprise focus, it’ll end up with more users who actually pay for the more expensive tariff tiers of the service.  © 2015 HeelsinTech. All rights reserved.